Here are some items that caught my attention from the testing community over the last week. Jeff Nyman blogs about the "The Challenge of Testing" and "Driving Design with Code as Specification." Pete Walen reflects "On Ego and False Dichotomy." Rajesh Mathur republishes "Quality Index : Fooled by Measurement." Nishi Grover Garg writes "Agile Tester, ISTQB and more – What I gained v/s what I didn’t from all these certifications." Lisa Crispin reports on "When the whole team owns testing: Building testing skills." Prashant Hegde answers "Is Test Automation a Silver Bullet?" Mike Talks publishes 6 new posts on learning JAVA. Podcasts were released by AB Testing, Let's Talk About Tests, and Test Talks. Dan Rowinski reports that "71% Of People Are Using An iPhone That Is At Least Two Years Old." As always, I am on the look out for posts that other testers have found of interest and value to read. Please comment here with your favorite articles and blog posts from the past week. 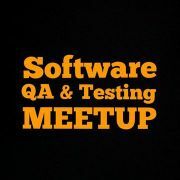 Meet with other local IT Professionals, contractors, and all those with an interest in the field of software quality assurance and testing. Gather to network, discuss topics and trends affecting the industry, and make new friends! Those outside of Columbus are more than welcome to attend. Il tuo nome sarà visibile a tutti.